Visiting the dentist shouldn't be a dreaded or difficult experience. At Meridian Dental Associates we take a different approach to dental care, one that’s designed to make your visit enjoyable and informative. From the moment you walk in the door, you’ll notice the difference. Time spent in our waiting room isn’t time wasted. We provide a computer and Internet access for our patients. Catch up on email or surf the Internet while waiting for your appointment. For antsy Kids we provide a variety of video games. Each patient examination room contains a networked, state-of-the-art computer system, which offer patients number of benefits. A remote monitor allows patients to views their x-ray in precise detail or watch video explaining procedures they are about to undergo. Anxious patients, or those undergoing lengthy procedures, can also use the monitors to view their own DVDs, for entertainment or relaxation. With our entirely computerized report system, your x-rays and dental records can e-mailed to other specialists for consultations, or printed out for your review. 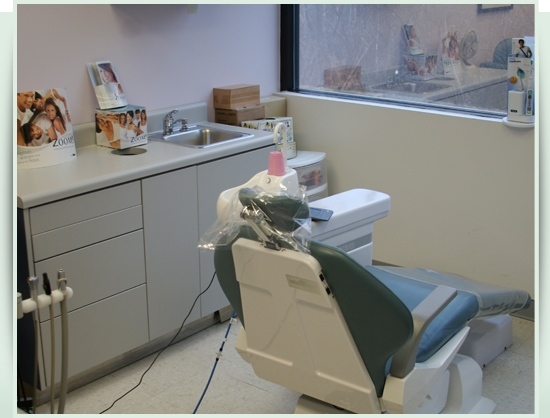 Our technology includes a miniaturized, intraoral camera, to provide a close-up view inside your mouth, and digitalized x-rays require 90% less radiation than standard dental x-ray – a significant benefit to our patients, brightened and magnified, giving a vastly superior image to that provider by standard, film-based x-rays.